Hi everyone, it's Teresa here today to share a simple and fun project to decorate your house with. 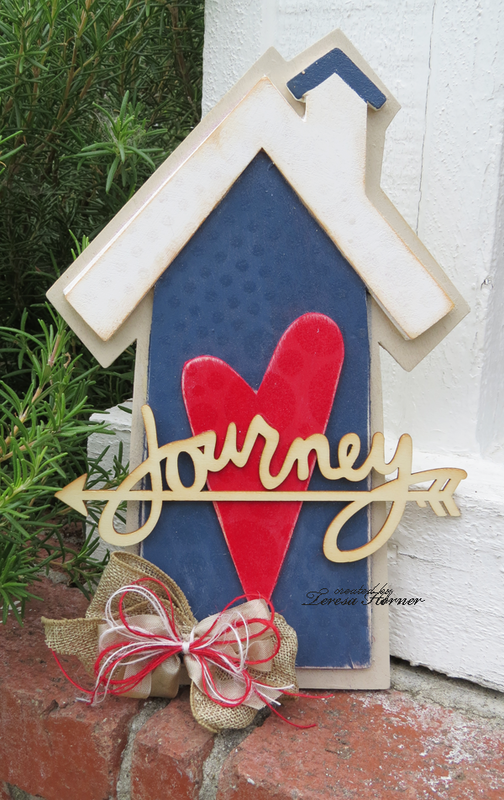 Like all fun projects that we do, I started out shopping a couple of weeks ago at my local hobby store and spied this cute wooden birdhouse wall hanging to paint and loved it at first sight. My theme this month for my projects is houses, so this cute little house to decorate mine with was perfect to paint up and add some pretty ribbon from the Really Reasonable Ribbon store. To get started on any wood project be sure you sand it good and seal it with a clear coat first to seal it. Then you can paint each of the colored areas and sand the edges if you want it to be a little more rustic like I did. (The paints I used are Americana from Deco Arts) The edges I just inked with Gingerbread chalk ink just a tiny bit to soften them and then I glued on this cute wooden sentiment from Heidi Swapp. 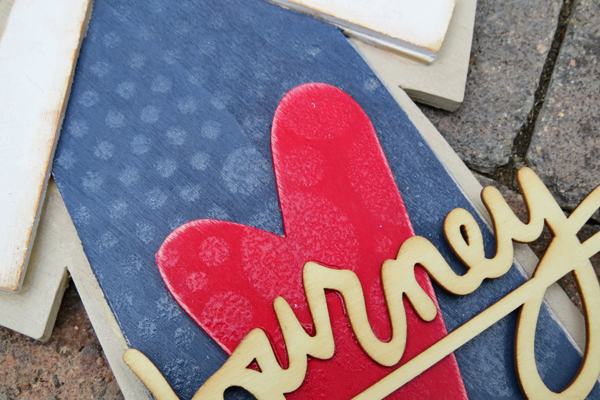 To make all those cute bubbles, I used a circle stencil from Prima and sprayed clear Goosebumps from Imagine/Tsukineko over all of it quickly and this is how it came out. I love it--- and it was super easy to do. Then I sprayed it with a clear mat varnish to seal it. Seam Binding Ribbon. 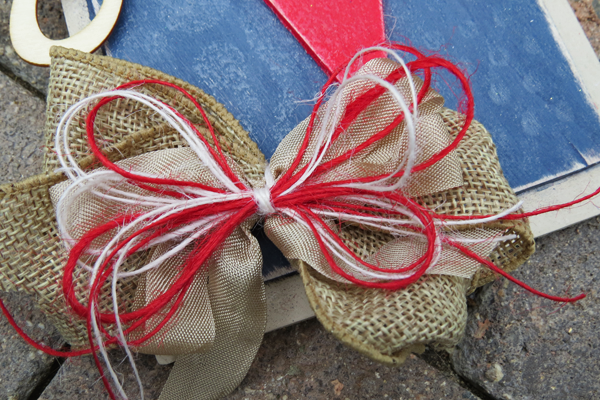 I also used some Jute String in both red and white and glued it all on the corner of the birdhouse. So....Thanks for stopping over today and I hope you get a chance to get some paint out and have fun doing some cute things to decorate your house too. Have a wonderful week! !